Vitals Global Healthcare, which has received more than €50 million from the government to run three State hospitals, has ended up completely penniless and has accumulated debts of over €55 million. Sources close to the ongoing talks between VGH and Steward Health Care – the American company set to take over the hospitals concession – told The Sunday Times of Malta that Vitals’ book value has been rendered worthless and the company is technically insolvent. The Sunday Times asked Vitals to give its declared book value and to provide a list of the investments it has made at Karin Grech, St Luke’s and Gozo hospitals since it took over the 30-year, €2.1 billion concession 18 months ago. But the company’s spokeswoman failed to reply. Vitals has been reduced to this desperate financial situation despite the more than €50 million in government funds that have been poured into it over this period. The government has not yet provided the taxpayer with an account of that money. The company is reported to have failed to secure financing from the international banking circuit to sustain its operations. Sources said that with more than €55 million in debts, the only remaining way out for VGH was to sell its concession to Steward, a company that owns hospitals in the US. Steward – notably led by the former CEO of Vitals, Armin Ernst – will be taking over all the debts and loans accumulated by VGH, according to the sources. The deal is expected to be signed in the coming days. It is not yet known whether Steward will be making any further payments to the owners of VGH over and above the repayment of loans and the settling of debts with suppliers, who according to sources have not been paid in months. Two months ago, the government declared that Steward and VGH had signed their agreement. This turned out not to be the case, with Vitals saying negotiations were still under way. The signing has now become possible only due to an out-of-court settlement reached last Wednesday between one of the shareholders in the hospitals project and the rest of the original investors, whose identities are wrapped up in a complex network of companies that lead to the British Virgin Islands. Ashok Rattehalli, a businessman and a promoter of the original project, took VGH and its owner Bluestone Investments Malta Ltd to court and won a temporary injunction to stop the transfer to Steward in order to protect his shareholding. He claimed that despite being owed five per cent of the shares in VGH and its holding company, this promise had not been honoured by the time of the planned share transfer to Steward. However, on Thursday, Mr Rattehalli dropped the case and informed the court that he had reached an agreement with VGH over his shares. Sources said the Office of the Prime Minister had exerted pressure on VGH and Rattehalli to reach an out-of-court settlement, which now paves the way for the final process of the concession transfer to take place. 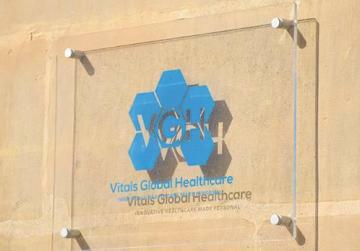 The doctors’ union, the Medical Association of Malta, has declared an industrial dispute over the concession, dubbing the original deal with VGH as “fake”. It insists there is nothing to show for the €50 million of taxpayers’ money pumped into the company except a hole in Gozo where a medical school campus is meant to be located and some plastering work done on the facade of St Luke’s hospital. The dire financial state of VGH is now prompting other health industry stakeholders, including medical suppliers, to ask the same question: what has Vitals done with all the money it was paid? “There is completely nothing to show for the €50 million in taxpayer funds received by VGH from Maltese coffers in the span of 18 months. They should have ended up somewhere,” one industry source told this newspaper. 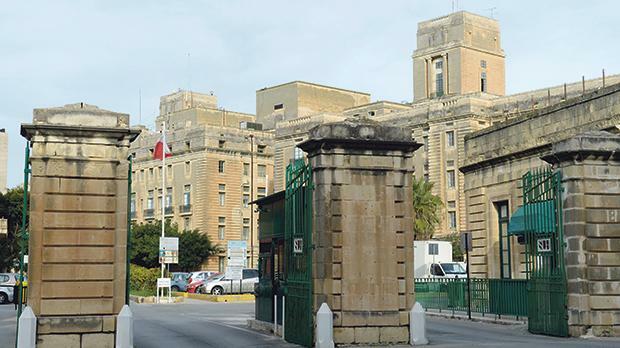 According to the concession agreement, revealed by The Sunday Times of Malta, VGH could not sell the concession without the prior written consent of the government. According to Health Minister Chris Fearne, the government issued its written consent on December 29, nine days after the same minster announced that a deal had been concluded between Steward and Vitals Global Healthcare. Minister Konrad Mizzi, who conducted the negotiations with VGH over the concession, has so far refused to make available a copy of the agreement despite repeated requests from this newspaper. Also, both Mr Fearne and Dr Mizzi have refused to pass on a copy of the €9 million performance guarantee which VGH was obliged to put in place after signing the contract with the government. Dr Mizzi has gone on record saying the guarantee was in place but he forgot which bank had authorised it. Under the concession agreement, the bank was subject to government approval. Clauses in the agreement stipulate that in case of insolvency, severe financial problems or failure to meet concession milestones, the government had the right to end the agreement and take back management of the three hospitals. However, the government appears to have shunned this option and has issued its consent for the concession transfer to go ahead.